Until 2010, Bob Dylan In Concert - Brandeis University 1963 is a previously unknown live recording of a 21-yearold Bob Dylan taped at the Brandeis First Annual Folk Festival in Waltham, Massachusetts on May 10, 1963. 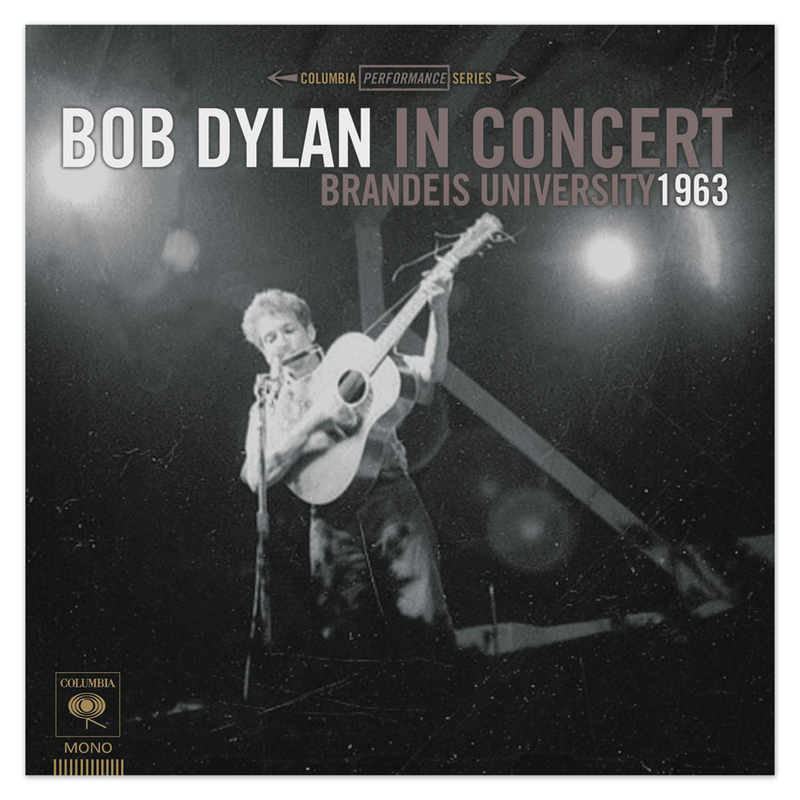 Bob Dylan In Concert - Brandeis University 1963 captures the rollicking wit, deadpan delivery and driving intensity of the young artist’s on-stage persona in an assortment of end-of-the-world songs -- none of them commercially available at the time. It’s a small miracle this recording exists. In 2009 collector Jeff Gold, found a tape box labeled ‘Dylan Brandeis’, in faint pencil, among material collected over a lifetime by the late great music critic Ralph J. Gleason. Clearly a professional recording, it had survived 46 years in Gleason’s house in terrific condition. The Bob Dylan performance it captures, from way back when Kennedy was President and the Beatles hadn’t yet reached America, wasn’t even on fans’ radar. The set is a collection of rarities, featuring no songs from his debut LP (which had been out for over a year at the time) and only one, “Masters of War,” from his then just-completed second LP. This is the last live performance we have of Bob Dylan before he becomes a star.